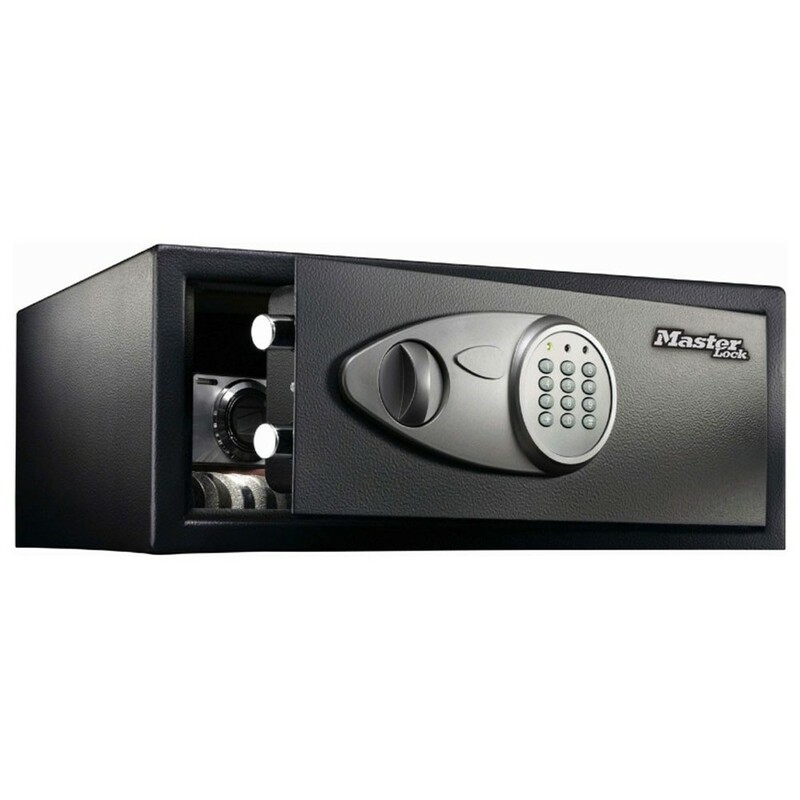 The Master Lock X075 security safe is built to secure most laptop computers and tablets, but is suitable for cash and valuables too and has a recommended cash rating of £1,000. It is fitted with an electronic lock which has key override and a carpeted interior to prevent scratching of stored contents. The Master Lock X075 security safe is made from a solid steel and has 2 steel live-locking bolts and concealed hinge for more protection against attacks. It is supplied with bolts for back or base fixing.